My full name is Malvin Lee, but if you are viewing this page, you have now reserved the right to call me Mr. Lee! I want to tell you a little bit about myself, because I believe that the barber-client relationship is the foundation of a great barbershop. I was born and raised on the streets of Chicago. As a teenager, it was not long before I realized that cuttin' hair was skill that, not only I wanted to perform, but I wanted to master! I began practicing on my little brother and cousin, and before I know it, my pager (that's right, I had one!) was going off multiple times a day, from family, friends, and neighbors who were to all grow to be strong clients. I gained a love and passion for cuttin' hair. As a young adult, I began to spend a great amount of time in barbershops, just watching and observing different styles and techniques, learning how "Chicago Barbers" do it. 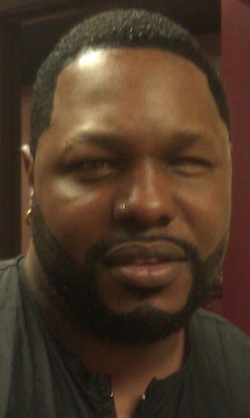 After years of research, growth, and mastering specialized skills, I grew up to be one of the best barbers in Chicago. To this very day, I am still Chicago in so many ways because of my style. Various tastes in music, clothing, and art makes me who I am today. A crucial fact that I have observed is that there is absolutely no barbershop or salon that creates an environment where people of all diversities are welcome or feel comfortable in doing the hair of people from all walks of life. My goal for Mr. Lee's Barbershop is to provide that type of environment, to bring a more diverse and trendy place for people of all races, creed, and color. My constant learning and desire to master the craft of barbering allows me the opportunity to own and operate such a place. Fort Collins is a wonderful city, hosting large university, many colleges, and hundreds of businesses, both large and small. Along with all of these come thousands of people with a large array of backgrounds. Catering to each person's needs is mandatory. Mr. Lee's Barbershop is the place to come for all of YOUR styles and haircuts.